Denise Evans, is a Principal Researcher at the Health Economics and Epidemiology Research Office, a Division of the Wits Health Consortium at Wits University in Johannesburg. She is currently the technical lead of the Tuberculosis and HIV research area and is the Deputy Director of HE2RO’s six-year USAID award called INROADS: Innovations Research on AIDS. 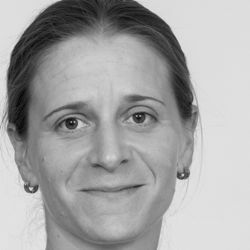 Her research interests include interventions to improve ART adherence, low cost monitoring of HIV in resource-limited settings (RLS), and evaluations and innovative approaches to improve HIV and TB treatment outcomes, specifically among vulnerable populations such as children, adolescents and young adults living in South Africa. She was the principal investigator of NIH/CFAR/CNIHR and two NRF supported research studies in South Africa and more recently received funding from SA-MRC and Bill and Melinda Gates Foundation for an intervention study to improve early childhood development. Denise is the principal investigator for the socio-economic sub-study of TB Sequel (http://www.tbsequel.org/). She has published over 80 publications (Google Scholar h-index of 18 and 2157 citations (https://scholar.google.co.za/citations?user=pqyI8X0AAAAJ&hl=en; ResearchGate score of 32.27) and frequently reviews manuscripts for both local and international journals in the HIV and TB field. To date she has supervised 5 MMed, 6 MSc, 1 PhD and 1 post-doctoral student to completion and currently has 1 MSc and 2 PhD students. She holds a doctorate in Biomedical Technology from the University of Johannesburg, South Africa and has been with the Wits Health Consortium for over 9 years. Electronic patient adherence monitoring is a novel method for improving adherence to HIV treatment. This pilot study aimed to generate preliminary data for a larger trial. We determine the effectiveness and cost-effectiveness of using electronic patient adherence monitoring in patients at high risk of failing second-line antiretroviral therapy (ART) at Themba Lethu HIV clinic in Johannesburg, South Africa compared to the standard of care, which involves optimized adherence counseling. Predictors of mortality and treatment success during treatment for rifampicin-resistant tuberculosis within the South African National TB Programme, 2009 to 2011: a cohort analysis of the national case register. When and how should we be measuring adherence to antiretroviral therapy in resource-limited settings?